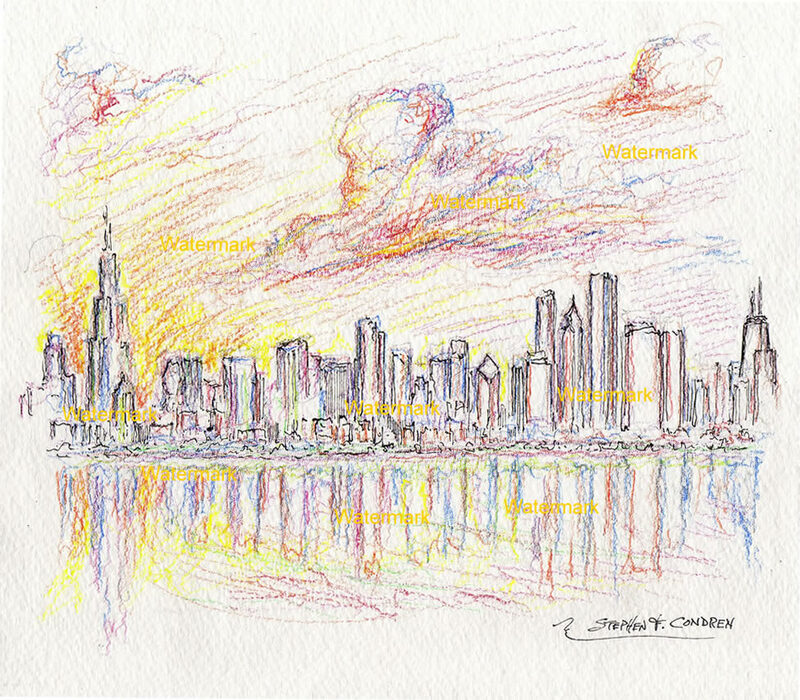 This article is about Chicago skyline drawings at sunset, which is for sale at discount with prints by artist Stephen F. Condren, BFA-SAIC, of Condren Galleries, a Fine Arts Gallery, offering JPEG & PDF scans. This pencil drawing of the Chicago skyline is at sunset and taken from Burnham Harbor. This is often called the entrance of front door to Chicago. Burnham Harbor was the focal point of Daniel Burnham’s “Plan Of Chicago”. Here we have the colored lined competed for the small space at the base if Willis Tower.